The BATSHEVA Organization was founded on Jewish values and inner purpose, providing motivational support to empower the modern, accomplished career woman. We serve this mission by engaging a select world-class roster of impactful female C-level executives. The Power of Women – Our feminine strengths of intuition, leadership, creativity, and being action-focused contribute to the success of our industries, families, and communities. We believe in channeling these qualities to support our global community. The Power of the Individual – Through contributing her unique talents, each individual makes a difference that collectively creates change. Serving Others – While we seek to invest in our own abilities, relationships, and impact, our goal is to pay these dividends forward by championing other women and communities that need support. Positivity – At our core, we believe in the innate goodness of people, and this approach informs the way we communicate and collaborate with one another. Constructive – We take action to produce quantifiable and meaningful results. Spirituality – Intentionality and spirituality are interwoven into every part of our ethos. She was the creator of leaders. The most famous Batsheva in Jewish history, and the biblical origin of the name, is the wife of King David and mother of the wisest of all men, King Solomon. Batsheva was the creator of leaders, the venerable queen mother, and kingmaker. It was her son, King Solomon, who united the Jewish people, built the holy temple in Jerusalem and reigned over one of the most venerated eras of peace and tranquility in Jewish history. Thus, The Batsheva Organization’s legacy is intricately tied with royalty, wisdom, grace, leadership, and the ability to overcome challenges. 19 years ago, Sara recognized the need for a stellar, progressive education that would inspire and propel children to become leaders and thinkers, accessing key skills early in their development and preparing them for the future. Her insights led her to found Preschool of the Arts, with a focus on academic learning, and building healthy habits of the mind, heart, body and spirit. Sarah is keenly aware of the needs of young children and their families and has dedicated her professional life to catering to them. Under her leadership, Preschool of the Arts has become of the most in-demand programs in NYC. Moreover, Sara has establisher herself as an expert in child development and academic skill-building, and authored Curriculum of the Arts, a holistic preschool curriculum used by over 300 schools worldwide. Sara has lectured to thousands of educators from all around the world, and conducted countless workshops. She also serves as a consultant for hundreds of schools and institutions, having supported the establishment of high-caliber Early Childhood programs throughout the U.S., Asia, Canada and Israel. Argentine native. New Yorker by adoption. Curious by nature. Ariana has built a career out of building and growing relationships between people and brands. She’s created connections with virtually every group of people out there: Moms, business travelers, political elites, kids, teens and tweens. Fashion lovers and home improvers. Affluent shoppers and deal hunters. Immigrants and emigrants. First time home buyers and students. And the list goes on and on. Her innate understanding of how to connect with people stems from her nearly two decades of being plugged into the world of strategy. She has crafted strategy at the local, hyper-local, regional, national and global levels, and she has worked with multicultural and general market audiences. Ariana has led digital strategy teams within award-winning advertising agencies. Before becoming Global Chief Strategy Officer at MRM//McCann, she lead teams at mcgarrybowen, The Vidal Partnership and JWT. Ariana holds an M.A. in Media Studies. She has spent her career unearthing, tracking and understanding human behavior and decoding people’s drivers to interact with media and technology; examining and shaping the way in which people relate with family, friends, colleagues, trusted sources, and strangers through technology; and coming up with novel ideas that creatively engage people beyond technology. Ariana is also a Board Director at PVBLIC Foundation. Through her work and speaking engagements at the United Nations, she continues to push forward her commitment to harnessing the power of media to drive social change by raising awareness and activating citizens globally around the Sustainable Development Goals. In 2017, Ariana was recognized as a Leadership Council Honoree at the Media for Social Impact Summit held at the United Nations. Elizabeth Sutton (b. 1989, New York, NY) is a millennial “mom-preneur” and visual artist who has taken the nouveau arts scene by storm. In 2016, Elizabeth was selected to participate in the NYDesigns incubator program, exhibited at both the Affordable Art Fair & Hamptons Designer Showhouse, and was featured by Bravo’s “Million Dollar Listing,” as well as The New York Post. In early 2017, Elizabeth donated her work to the nationally-recognized 92nd Street Y’s Spring Fundraiser as well as Lenox Health Greenwich Village and participated in both the 2017 Architectural Digest Design Show and New York Design Center’s “What’s New What’s Next.” Sutton recently launched a capsule collection with BariLynn Accessories for Bergdorf Goodman and opened pop-up galleries in Wynwood for Art Basel Miami and New York City, coinciding with and supporting the launch of Hustle Chic, Sutton’s online social collective for creative productivity and social good. Hadassah Lieberman is the Prague-born wife of a retired United States senator who became the first Jewish vice presidential candidate (that’s former senator Joseph Lieberman, first Democrat, then Independent, from Connecticut); she is the mother of two children, one of whom is a rabbi revolutionizing Jewish egalitarian intellectually focused learning (that’s Rabbi Ethan Tucker of Hadar), and the stepmother of two children, and she also is a powerhouse of charisma, charm, social advocacy, and professionalism. She’s also a frequent speaker on issues of American Jewish life, particularly the Holocaust and its effects on the next generations. It’s an issue she knows firsthand. Margarita is currently filming Season 2 of the critically acclaimed David Simon HBO show “The Deuce,” starring opposite James Franco and Maggie Gyllenhaal. She can next be seen starring opposite Josh Hartnett and Bruce Dern in the independent film INHERIT THE VIPER directed byAnthony Jergen. She can last be seen in the independent feature film LA TIMES which premiered at Sundance, opposite Michelle Morgan and Jorma Taccone. Margarita’s recent television credits include her r ole of ‘Amanda Clarke’ in the hit ABC showREVENGE opposite Madeleine Stowe and Emily VanCamp. 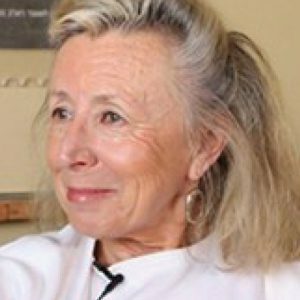 She co-starred opposite Hope Davis in NBC’s ALLEGIANCE, written and directed by George Nolfi and has reoccurred in the NBC hit show THE BLACK LIST. Her previous television credits include HBO’S LUCK, HOW TO MAKE IT IN AMERICA and VANISHED. 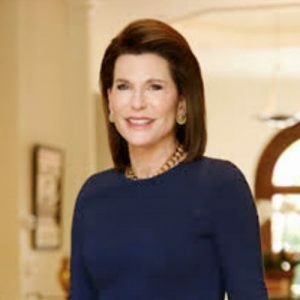 Nancy G. Brinker is the founder and Chair of Global Strategy of Susan G. Komen, an organization named after her only sister, Susan, who died from breast cancer in 1980 at age 36. Nancy was also United States Ambassador to Hungary from 2001 to 2003 and Chief of Protocol of the United Statesfrom 2007 to the end of the George W. Bush administration. Brinker, a breast cancer survivor, uses her experience to heighten understanding of the disease. She speaks publicly on the importance of patient's rights and medical advancements in breast cancer research and treatment. She is currently serving as the World Health Organization's Goodwill Ambassador for Cancer Control. Nancy is the author of the New York Times bestselling book Promise Me - How a Sister's Love Launched the Global Movement to End Breast Cancer, released on September 14, 2010. Nancy has helped build Komen by fostering a coalition of relationships within the business community, government, and volunteer sectors in the United States. For her work on breast cancer research, Time Magazine named Nancy to its 2008 list of the 100 most influential people in the world. Calling her "a catalyst to ease suffering in the world," President Barack Obama honored Nancy with the Presidential Medal of Freedom, the nation's highest civilian honor, on August 12, 2009. Born in Israel as the fifth of nine children to Olga and Lev Leviev, Chagit graduated from Bar Ilan University, with a B.A. in Economics and Business administration. 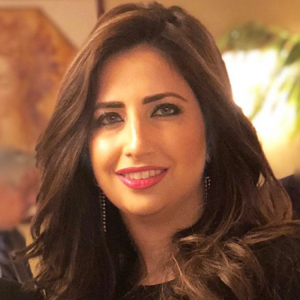 Following her graduation, Chagit worked as a financial advisor at Deloitte, advising on international real estate valuations and business planning which led her to a CFO position at the Memorand Group. By 2012, Chagit relocated her family to New York City to head the U.S. arm of the multi-billion-dollar international conglomerate the Leviev Group of Companies founded by renowned businessman and philanthropist Lev Leviev with investments in a wide range of dynamic industries, including real estate, mining, energy, diamonds and jewelry. Headquartered on Fifth Avenue, Chagit also runs the US branch of Lev Leviev Diamonds (LLD). LLD is one of the world’s largest diamond manufacturers and distributers. LLD is the only diamond firm in the world to control all facets of the diamond pipeline: from ownership in diamond mines, rough trading, manufacturing, and polishing, all the way to designing, and marketing prestigious diamond jewelry. During this time, Chagit also manages the prominent real estate firm Africa Israel USA (AFI USA), where she serves as the firm’s CEO. AFI USA built a reputation of excellence in its residential developments by introducing some of the top brands in the real estate market over the past decade including District at 111 Fulton Street, 20 Pine - The Collection by Armani Casa, 15 Broad - Downtown by Philippe Starck, The Apthorp, 88 Leonard Street and The Marquis Residences on Brickell Avenue in Miami. 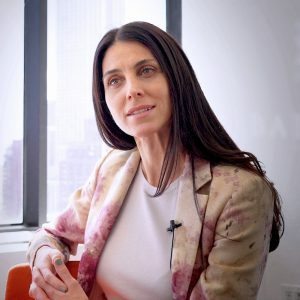 Chagit is currently a member of several Boards of Directors for a wide range of companies in Israel and in the US and has previously served on the boards of Fox-Wisel, an Israeli Public traded apparel company, holding such brands as Fox, Laline, Billabong, The Children’s Place and American Eagle among others; and she previously served as a Director for Israel’s TV channel 9. 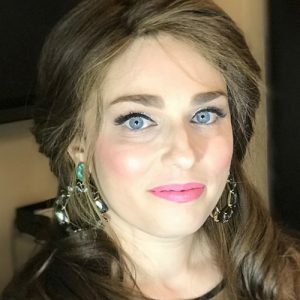 Chagit, wife of Greg Sofiev and a mother to 4 young children, follows in the footsteps of her family’s philanthropic spirit with her time and resources, serving as President of select non-profit organizations that focus on Jewish education and the community. Tzili Charney: a woman of valor, a curator of exhibits, a costume designer, a producer, an activist, and a philanthropist with a passion towards justice and peace. Tzili was born in Israel and studied at the Midrasha Art School in Tel Aviv, graduating in 1981. She worked as a costume designer in numerous theaters such as The Cameri Theater of Tel Aviv, The National Theater of Israel, HABIMA, and eventually the Jewish Repertory Theatre and the National Yiddish Theatre, Folksbiene, in New York. She has also worked as an art curator and collaborated with many Israeli artists at Art Basel Miami and other venues, and in 2008 joined the team of the LABA art program at the 14th Street Y in the East Village. In 1991, Tzili married real estate mogul Leon Charney in Tel Aviv, and in 1999 gave birth to twin boys Mickey and Nati Charney. When Leon became ill in 2010, Tzili dedicated herself to tending not only to her husband’s health, but also to his business empire. She became chairman of L.H. Charney Associates, Inc. a major commercial real estate investment company in New York City owning over one million square feet in Times Square, and remains as chairman to this day. In December of 2017, Tzili created ZAZ10TS, a cultural initiative that integrates art forms into office buildings at 10 Times Square (aka 1441 Broadway). Tzili also took over Leon’s entertainment legacy and signed on as a producer of Leon’s 25 year running talk show The Leon Charney Report, which featured numerous distinguished guests such as Rudy Giuliani, Elie Wiesel, and Shimon Peres. Tzili also helped produce the documentary Back Door Channels: The Price of Peace, based in part on Leon’s influential role in the historic Camp David Peace Accord between Israel and Egypt. Tzili also supports NFCT (The New Fund for Cinema and TV) in Leon’s name, a development program for Middle Eastern and Northern African Documentary Filmmakers. Tzili is dedicated to supporting non-profit organizations devoted to social programs, such as Beit Hatfutsot: Museum of the Jewish People in Tel Aviv; Kishorit, a home for adults with special needs in the Western Galilee; Forum Dvorah: Women in Foreign Policy and National Security, an active network of almost one hundred professional Israeli women; the initiative “Have You Seen The Horizon Lately?”: young Israelis who seek to stimulate a new public discussion about the need to resolve the Israeli Palestinian conflict with the help of fresh and unexpected speakers from assorted disciplines and domain; the National Project on Trauma, Disaster, and Civic Resilience in Israel, an organization committed to providing coping mechanisms in the face of mass trauma for Israeli citizens; and Umm el-Fahem Gallery, an art organization that she support and collaborate with. Since January 1st, 2018, Tzili has been supporting a new pilot program called Medical Excellence and Compassionate Care with Tel Aviv Sourasky Medical Center, in affiliation with Tel Aviv University and the Sackler School of Medicine. In Haifa, she is working on a new program called The Leon Charney Center for Practical Diplomacy (the Rise of the New Diplomacy). 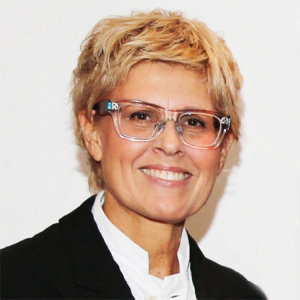 Tzili is also known for her commitment to helping educational institutions, and currently serves as Vice Chairman of the University of Haifa’s Board of Governors, following in Leon’s footsteps. She also supports Florida Atlantic University’s Diplomacy Program, Yeshiva University, and the NIAD Art Center in California for people with disabilities. On May 25th 2017, Tzili was honored by Yeshiva University with an honorary doctorate recognizing her tireless commitment to preserving both diplomacy and peace education. In 2014, Tzili founded the Leon Charney Resolution Center in Hakfar Hayarok Israel, which focuses on educating students in conflict resolution, the art of negotiations, entrepreneurship, sustainability, and global peace, as inspired by the luminous legacy of her husband Leon. Tzili currently resides in New York City with sons Mickey and Nati and their dog Chewi.